Kuala Lumpur is Malaysia's Federal capital. It is known as an oriental city for a reason. The city hosts over 1.6 million people. This bright cosmopolitan center is the heart of the political, cultural and economic activities in Malaysia. Kuala Lumpur has hosted the common wealth games leaving a mark in the hearts of many. The city is the fastest growing in Malaysia. This has made it a favorite tourist destination for many. Covering about 240 sq. kilometers, it has some of the best attractions in Asia. It should be in your bucket list on places to travel. Kuala Lumpur is known for its warm hospitality. It is made up of mainly the Malay, Chinese and the Indians. There are many other ethnic groups though. The Malays who are mainly farmers mostly live in the outskirts of Kuala Lumpur. They are a warm race with cultural and oriental traditions. The Chinese have been in Kuala Lumpur since the 15th century. They are the main residents of the city. The community is now mainly English speaking which has come with foreign influence and development of the city. They are the main force behind the tremendous economic growth of the city. The Indians are also a major group in the city. They migrated from Southern India to settle and run business in Kuala Lumpur. All these races get along smoothly despite their diverse cultures. The races have made this city a hub of great festivals and culture. Accommodation for tourists in Kuala Lumpur is diverse. There are high budget and low budget hotels. Service apartments are available for accommodation all around the city. Accommodation can be found in various parts of the city. Some of these sections are famous for different their attributes. Bituk Bitang is a commercial hub. This is a great spot to find accommodation famous for great shopping complexes and night life. Down Town: This is famous for black market and piracy. You can purchase nearly anything in Kuala Lumpur form this part of the town. Accommodation is available for low budget visitors. Golden Triangle: This is also a commercial destination. It hosts various elegant shopping complexes and entertainment centers. There is accommodation on a higher budget scale in this part of town. The Market Area: Also known as Chow Tow is a market place with an array of fresh produce. The area also has accommodation available for all budget levels, including hotels and KL service apartments. Kuala Lumpur is known for its diversity in food. There are many hotels and restaurants serving both oriental and conventional dishes. The luxury hotel chains have found a home in the city with great accommodation perks like spas with Asian relaxation techniques. These have also been coupled with great cuisines. You can get to enjoy Salmon Sashimi, Mackeral, Oyster, Sushi, Grilled Saba, Spider Maki, and Colored Octopus among other exotic foods. The staple soups in Kuala Lumpur are to die for. The Malaysian Grand Prix attracts thousands of fans from all over the world. This is a great attraction for any tourist. The event is however not throughout the year. Synchronizing your calendar for a Malaysian Grand Prix tour will make your trip a memorable one. The tracks and the resorts around them are famous for their thrill and F1 hospitality respectively. It is also a great place to take your family or office for a holiday trip. There are numerous sightseeing places for kids. Kidzania is a role playing indoor park. It is an intellectual fun center with over 90 adult role playing options for your kids. The Zoo and Aquarium at Ulu Klang are a thrill for any kid and adult. They hold a large array of animals from all over the world. The kids will get to see lions, elephants, tapirs to all sorts of birds. The zoo is fun and it is tailored for the kids. The National zoo also has great sights for children. The Science center and various theme parks are just the tip of the iceberg for fun and entertainment. Kuala Lumpur holds great festivals for tourists. The festivals spot various cultures and are a good time to take photographs. The streets are bright with color and music for all. The city's night life is a beehive of activities. Ranging from clubs to exotic entertainment, it is a place where all tastes are met. 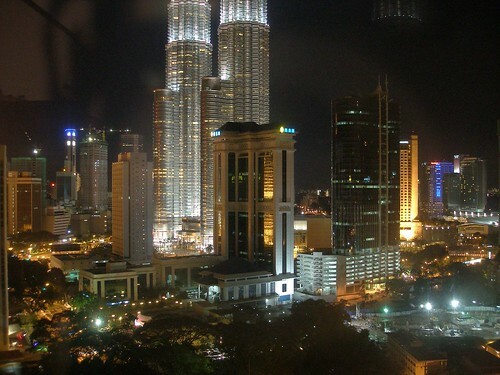 Kuala Lumpur as a city remains as one of the top tourist destinations in the world.